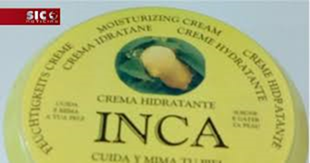 The National Agency for Food and Drug Administration and Control (NAFDAC) has been informed that the Portuguese National Authority for Medicines and Health product (INFARMED) on 28th September, 2018 ordered the immediate withdrawal of INCA moisturizing cream Lemon and INCA moisturising cream Fruits from the market. The withdrawal was due to the presence of mixture of preservative methylchloroisothiazolinone and methylisothiazolinone in them, INFARMED warned that the use of this mixture could pose a serious risk to human health including Inhalation toxicity, allergies and possible neurotoxicity, and they are hereby prohibited. INCA Moisturising cream Fruit All lot. NAFDAC……………… Safe guarding the health of the Nation!! !